As Nevada residents age, they may experience a loss of control over portions of their lives, such as their health, fitness and mental acumen. This can naturally lead to them attempting to regain as much control as possible in other areas of their lives. Estate planning may be viewed as a way to voluntarily give up even more control, but that does not have to be the case. For example, some people are advised to transfer ownership of their homes to a trusted relative in order to avoid it being counted toward their net worth when they are applying for Medicaid funding. This may make financial sense, but it could cause the elderly homeowner to lose the ability to make decisions regarding the home. Transferring the home to a relative is not the only way to achieve this goal. Trusts may seem as though they are for people with significant wealth, but they can be useful for nearly anyone. A properly created trust can help an individual maintain a sense of control over what happens to his or her assets. The trustee may be responsible for the assets, but the trust’s creator is responsible for the trustee. 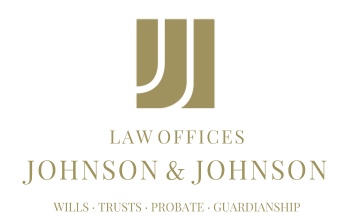 It may be necessary to consult the trustee in order to make any changes to the assets, but the trustee can be replaced if it is perceived that he or she does not have the best interests of the beneficiary in mind. Using estate planning to prepare for incapacitation or death means that a Nevada resident will need to consider a time when he or she may no longer have control over what happens to him or her. This can be unpleasant, but it is necessary. Without the proper documents in place, family members could have difficulty in providing a loved one with the proper care when he or she needs it. Further, creating an estate plan gives a person control over who becomes responsible for him or her and how his or her property is dealt with, both during incapacitation and after death.